The Association for the Study of the Cuban Economy is holding its Annual Conference for 2013 in Miami on August 1 to 3. It looks like a most interesting conference coming at a time when the economic reform process is solidifying and evolving in new directions. The program has been put together by Jorge Pérez-López, who has performed this task for the last 23 years! The program includes a large number of Cuban analysts from the Island who are now free to travel from their country when they decide. Among the Cuban invitees are Armando Nova of the Centro de Estudios sobre la Economia Cubana of the University of Havana, and Oscar Espinosa Chepe, an independent analyst. 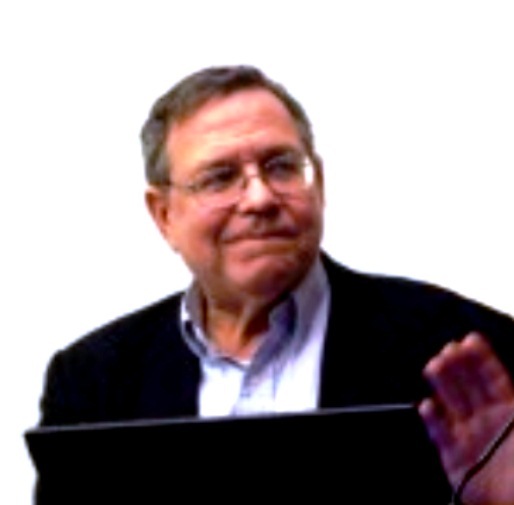 ASCE Conference 2013 Preliminary Program: Reforming Cuba? ASCE 2013 program. Cuba’s efforts to build a more market-driven economy are moving from lifting prohibitions on personal property, travel and minor economic activity to reform of larger state companies. But one of the most powerful men in the land had bad news last week for those who might harbour hope of owning a piece of the Caribbean island. “Life has demonstrated that the state cannot occupy itself with the entire economy, that it must cede space to other forms of administration,” Marino Murillo, the man appointed to head President Raúl Castro’s reform efforts, told journalists visiting the country last week. But Mr Murillo, a member of the politburo and vice-president of the Council of Ministers, emphasised that it was a transfer of administration and not a “property of the people” reform. Since Raúl Castro took over from his ailing brother Fidel Castro in 2008, and first began to institute austerity measures and reforms, the country’s current account has run a surplus, but economic growth has stagnated at just over 2 per cent annually. The Cuban Communist Party and government adopted a more than 300 point plan in 2011 to “update” the country’s economic and social model, “but the party made clear the changes were to take place within the limits of socialism”, Mr Murillo said. Asked repeatedly about foreign investment opportunities, the officials offered nothing new at all, repeating stock lines about investment being complementary to their development schemes and that existing regulations were flexible and adequate. Mr Murillo said the government was developing a list of offers that should be ready by 2014 and were planned to stimulate investment. The implication was that drawn-out negotiations over control of joint ventures, duration of the agreements, tax breaks and labour relations are unlikely to be resolved soon. 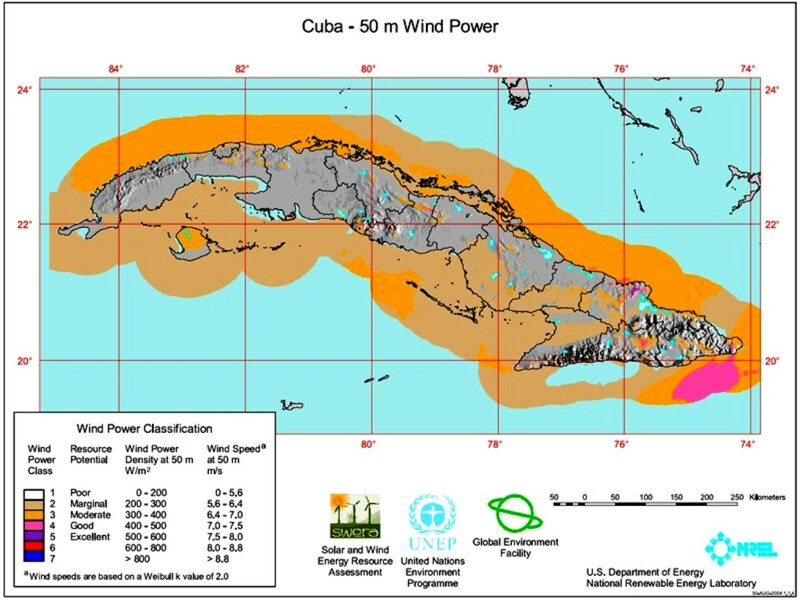 The possible exception is a special economic zone in western Cuba expected to open next year and which is awaiting publication of its rules and regulations. None of the 190 companies managing and temporarily in joint ventures in Cuba own any property outright, nor do they have the right to sell shares except with the authorisation of their partner, the state. Mr Murillo said agriculture represented more or less what authorities envision for minor and secondary sectors of the economy. The country has leased fallow state land to nearly 200,000 would-be farmers in recent years, loosened the regulation of co-operatives that were already leasing state land and freed up all agricultural actors to sell more of their produce (currently 47 per cent) on the open market, bypassing the state’s wholesale and retail outlets. “Eighty-one per cent of the land is social property owned by the people, and 70 per cent of the land is administered by co-operatives and small farmers,” he said. Twenty per cent is owned by small farmers and their private co-operatives. Cuba has been busy fostering development of small businesses in retail services, transport, construction and minor production, and allowing market forces to govern their activities, along similar lines to the agricultural sector. The government is leasing taxis and thousands of state shops, with up to five workers, to its former employees or any takers, and this month began to transfer larger enterprises with 6 to around 50 workers to co-operative administrations, 124 to date, with another 71 approved. Currently, 4m people out of the country’s 5.1m-member labour force work for the state, the remainder occupied in what is called the “non-state” sector, Mateu Pereira, an adviser to the minister of labour and social security, told the journalists. An estimated 1m Cubans of working age do not seek employment. The co-operatives are the first outside of agriculture since all businesses were nationalised in 1968. The government says many more establishments will follow, beginning in 2014. 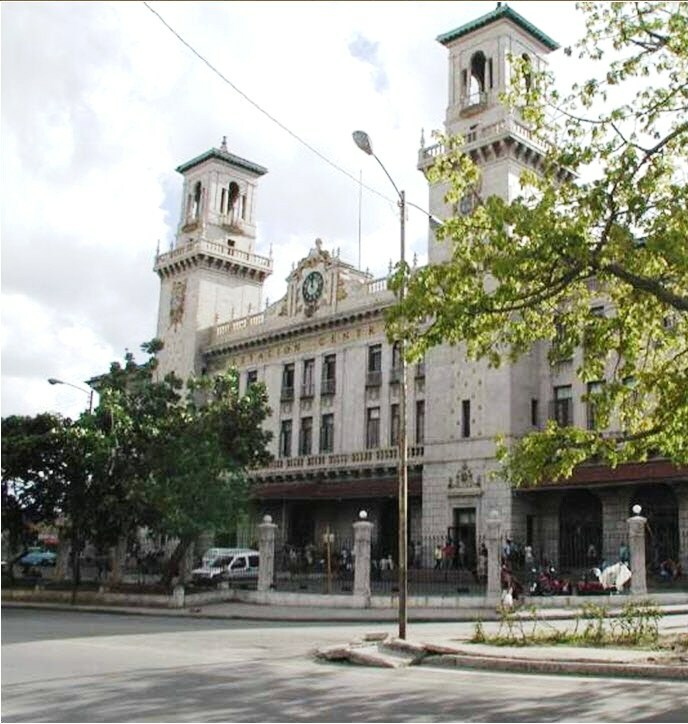 The co-operatives function independently of the state on the basis of supply and demand, divide their profit among members and receive better tax treatment than individually owned businesses, according to Cuban officials. A decree law published in December allows for an unlimited number of members and use of contracted employees on a three-month basis. Cuba will also begin deregulating state-run companies in 2014 as reform of the Soviet-style command economy moves from retail services and farming into its biggest enterprises, the head of the Communist Party’s reform efforts said. Mr Murillo said the 2014 economic plan included dozens of changes in how the companies, accountable for most economic activity in the country, did business. The reforms will affect big state enterprises such as telecommunications company Etecsa, tourism corporations, trading company Cimex and sugar monopoly Azcuba. Mr Murillo said changes include granting managers more autonomy and permission to sell excess products after meeting state obligations on the market, and allowing companies to retain half of their profits after taxes for such things as minor investment and wage increases. HAVANA (Reuters) – Cuba will begin deregulating state-run companies in 2014 as reform of the Soviet-style command economy moves from retail services and farming into its biggest enterprises, the head of the Communist Party’s reform efforts said. Politburo member and reform czar Marino Murillo said the 2014 economic plan included dozens of changes in how the companies, accountable for most economic activity in the country, did business. He made the comments in a closed-door speech to parliament deputies on Saturday, and some of his remarks were published by official media on Monday. The reforms will affect big state enterprises like nickel producer Cubaniquel and oil company Cubapetroleo and entail changes like allowing the firms to retain half of their profits for investment and wage increases and giving managers more authority. The plan also threatens nonprofitable concerns with closure if they fail to turn themselves around. “Murillo’s empowerment of state-run companies is a milestone on the road toward a new Cuban model of state capitalism, where senior managers of government-owned firms become market-driven entrepreneurs,” said Richard Feinberg of the Washington-based Brookings Institution and an expert on Cuba’s economy. “But only time will tell whether the government is willing to truly submit the big firms to market discipline – to let the inefficient ones go bankrupt,” he said. 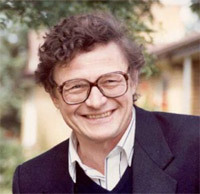 Murillo cited the Communist Party’s reform plan, adopted in 2011, which he said called for freeing productive forces to increase efficiency and reducing how companies’ performance was measured to a few indicators such as profit and productivity. Already this month, 124 small to medium state businesses, from produce markets to minor transportation and construction concerns, were leased to private cooperatives which, with few exceptions, operate on the basis of supply and demand and share profits. Hundreds more were expected to follow in the coming years as the state moves out of secondary economic activity such as retailing and farming in favor of individual initiative and open markets under reforms orchestrated by President Raul Castro, who took over for his ailing brother Fidel in 2008. Cuba’s economy was more than 90 percent in state hands up until 2008 and almost all of the its labor force of 5 million workers were state employees. Cuba began laying off hundreds of thousands of state workers and deregulated small retail services in 2010, simultaneously creating a “non-state” sector of more than 430,000 private businesses and their employees as of July and leasing land to 180,000 would-be farmers. Now larger enterprises, from communications, energy and mining to metal works, shipping, foreign and domestic trade, are being tweaked as the country strives to avoid bankruptcy and boost growth, which has averaged around 2 percent annually since the reforms began. “It appears as if government determination to modernize the economy is slowly overcoming the profoundly rooted inertia of the bureaucracy,” he said. Murillo said companies would keep 50 percent of profits for recapitalization, minor investments, wage raises and other activities, instead of handing over all profits to the state and then waiting for permission to spend the money. “The plan is designed so that a businessman from whatever sector does not have to ask permission to make minor investments to ensure production does not stop,” Murillo was quoted as saying. “It eliminates administrative barriers to salary payments, which directors of companies can decide on, always and when they have sufficient profits to cover them,” he said. Companies, which in the past were assigned hard currency for imports, will now be able to use the money to purchase local products. “If an institution has … $200 million to import, and a local producer can produce what it plans to import, this body can directly pay that local producer with the approved funds,” Murillo said. At the same time state firms that have reported losses for two years or more will be expected to turn a profit or they will be downsized, merged with others or closed. “We can’t make a plan that includes companies like these … because the phenomena of having to finance these losses will persist,” Murillo said. 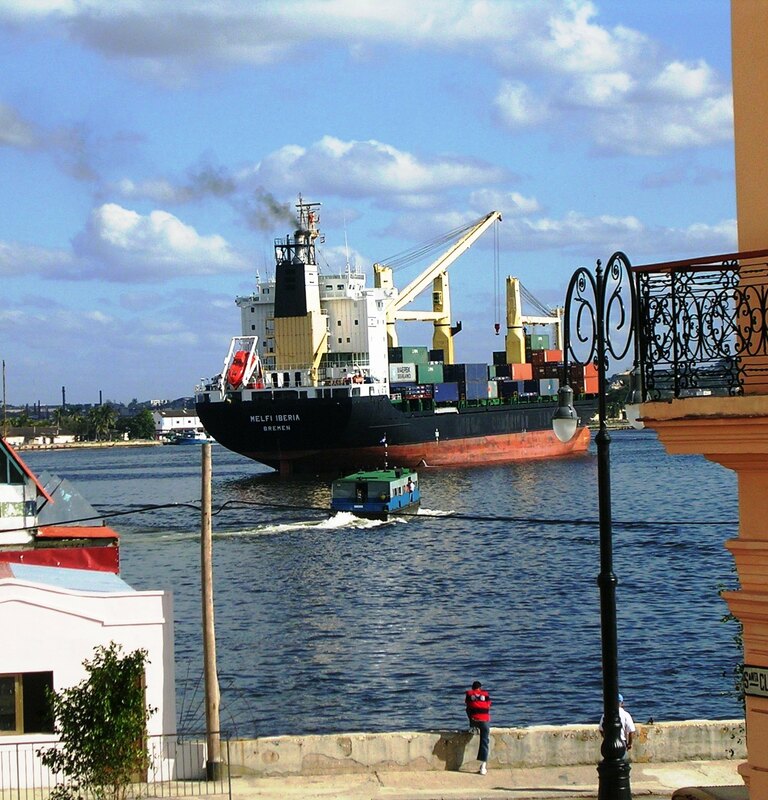 Cuba has already implemented some measures to set the stage for state company reform. Most companies have been moved out of government ministries in favor of operating as “independent” holding companies and in some cases, such as in tourism, allowed to keep a percentage of revenues. Raul Castro at the National Assembly in Havana. Raul Castro spent the lion’s share of a prominent speech on Sunday scolding his countrymen for all kinds of bad behaviour, from corruption and theft to public urination and the practice of raising pigs in cities. Speaking before legislators at one of parliament’s twice-annual sessions, the Cuban president railed against decaying morals, a deteriorating sense of civic responsibility and vanishing values such as honour, decency and decorum. Castro aired a laundry list of complaints about illegal activities that he said did the country harm: unauthorised home construction, illicit logging and slaughter of livestock and the acceptance of bribes, to name a few. He also fulminated against baser examples of “social indiscipline”: shouting and swearing in the streets, public drinking and drunk-driving, dumping rubbish on the roadside and people relieving themselves in parks. At times, the 82-year-old’s speech sounded like a generational broadside against disrespectful youth who do as they please, a diatribe that could have crossed the lips of many a grandfather. • Children throwing rocks at cars and trains. “All this takes place right in front of our noses without inciting public condemnation and confrontation,” Castro said. The Cuban leader also spoke of the corrosive effects of official corruption, quoting his elder brother Fidel as saying such activity posed a greater risk to the Cuban revolution’s success than any outside forces. Castro’s biannual speech to parliament has sometimes been a moment to announce new initiatives, but Sunday’s was short on specifics. Perhaps his most notable comment was a reiteration of the importance of doing away with Cuba’s unique dual currency system. 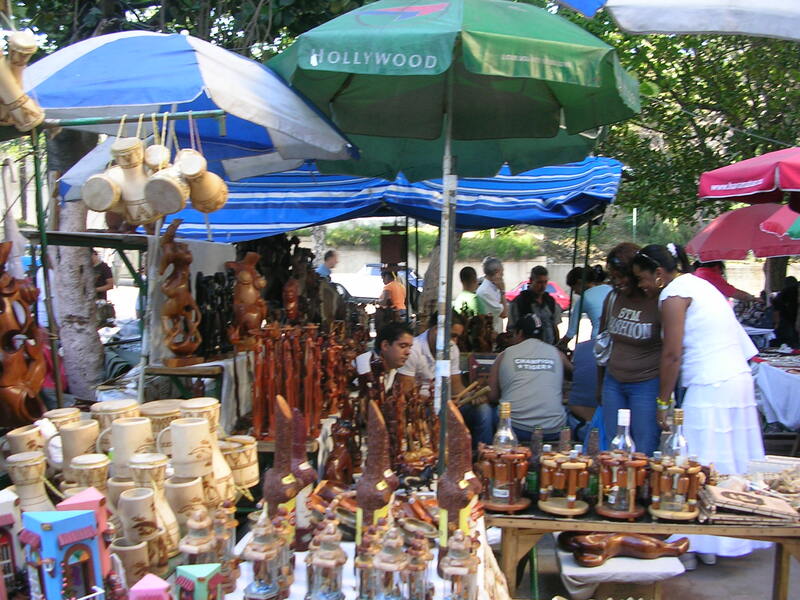 Most citizens get paid in Cuban pesos, while a second currency, the dollar-pegged convertible peso, is used in tourism and to buy most imported goods. Castro told legislators the Cuban economy was advancing “positively” even if those gains had yet to be felt by the average Cuban family. Castro also voiced support for Latin American allies’ apparent willingness to grant the NSA whistleblower Edward Snowden asylum, though he did not say whether Cuba itself would offer him refuge or safe passage. 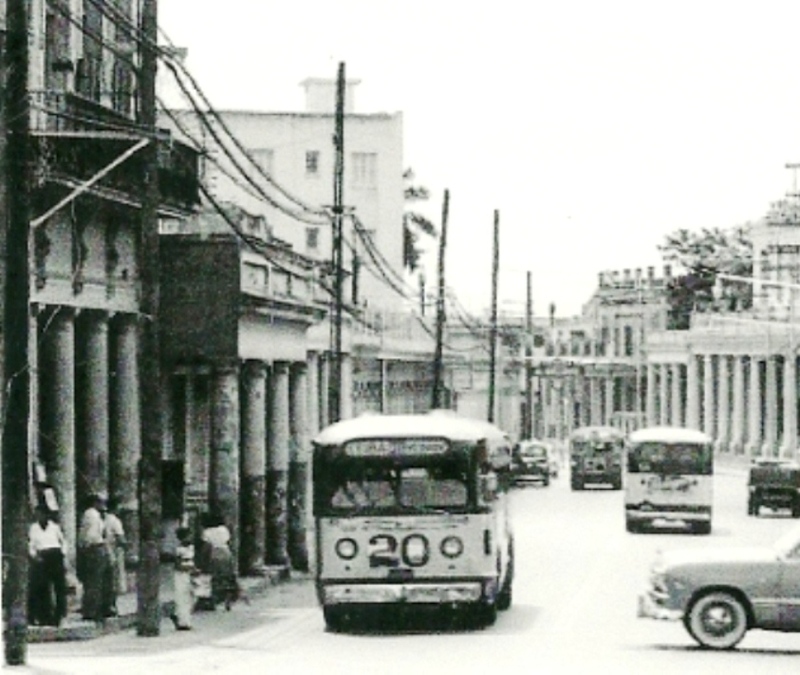 HAVANA TIMES — Fifty years of unsuccessful attempts at re-structuring its public transportation into a system that works should suffice to make Cuba consider changing the very foundations of the system. The “reorganization” being proposed today promises to be more of the same and is not likely to yield the quality services aimed for. The last meeting held by Cuba’s Council of Ministers publicly recognized that the country’s transportation system “has been unstable, inadequate and low-quality for years.” The common Cuban who “hops on a bus” every day has something similar to say, albeit with far less refined words. “Updates” can help steer those sectors that actually work, such as public health, education or sports, in the right direction. It can even improve the tourism industry, which has seen much progress in the course of the last 3 decades. 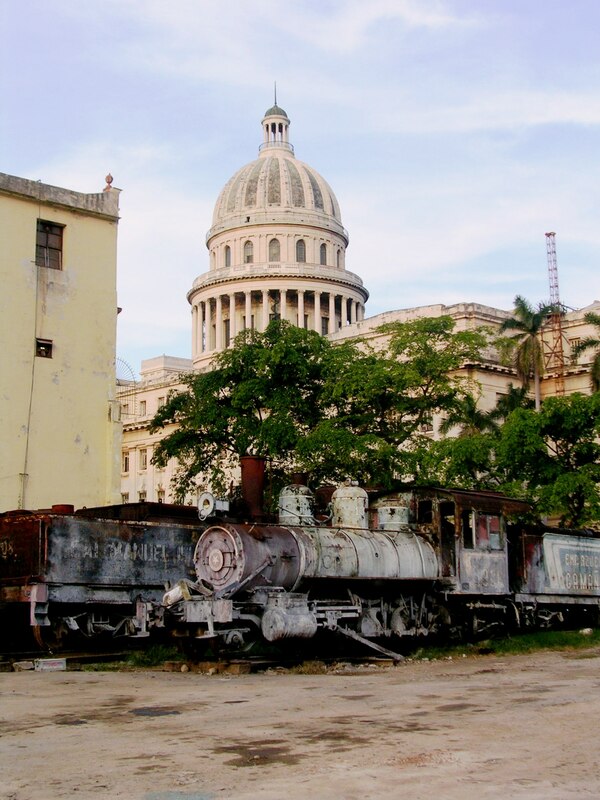 Cuba’s public transportation system, however, has always been bad and, in recent years, has gone from bad to worse. Truth is, it wasn’t even satisfactory in the days of Soviet aid, when there was plenty of money and State subsidies to invest in it. 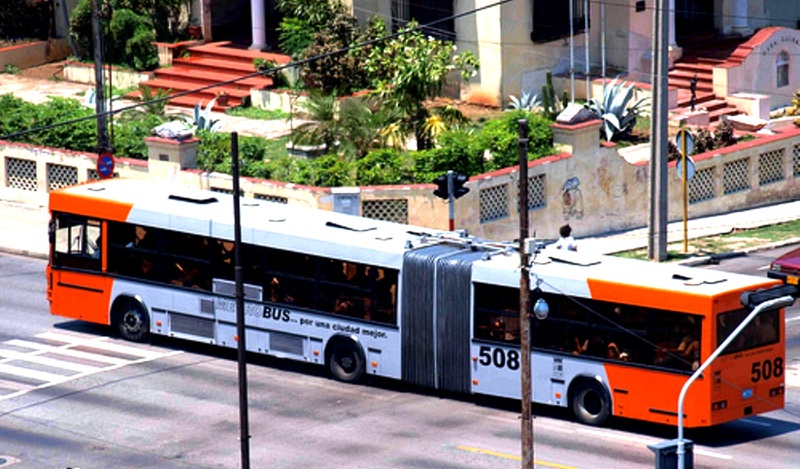 One of the many problems faced by the sector are the odd administrative decisions of Cuba’s Ministry of Transportation, which purchases buses from China but demands that they be equipped with U.S. engines, as though oblivious to the economic embargo that has existed for over fifty years. When the engine in one of those buses breaks down, Cuba has to buy it from the United States. The purchase is conducted through a foreign company and involves sending the product to a third country, where it is re-shipped to Cuba. Prices naturally skyrocket and spare parts take a long time to reach the island. 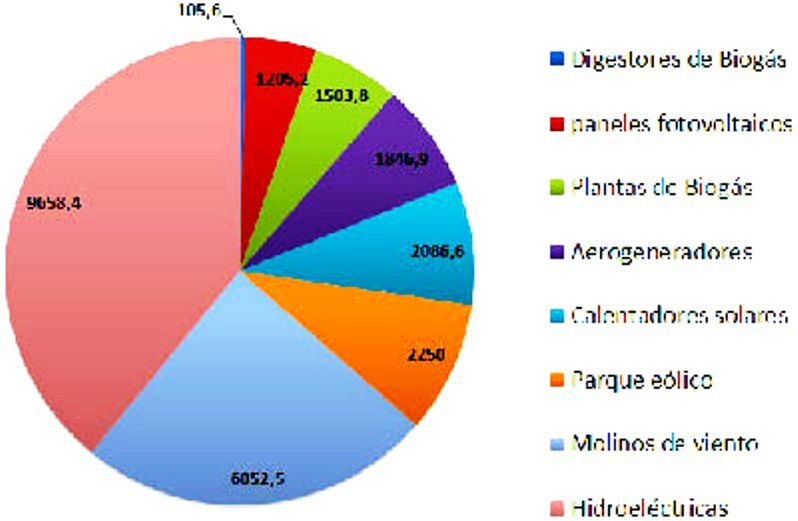 What’s more, a whole series of meetings between the commercial departments of the Cuban import companies and Ministry experts are held before the order is actually placed. There are committees that convene to evaluate one, specific aspect of the product, which refer the matter to other committees designed to review other product details, which in turn call on a third committee…and this process goes on and on for months. All the while, the broken bus idles at a State workshop where, many a time, it is scavenged for pieces that can be sold in the black market. When the Ministry finally decides to make a purchase, more spare parts are needed and the whole, interminable process of committee meetings begins anew. 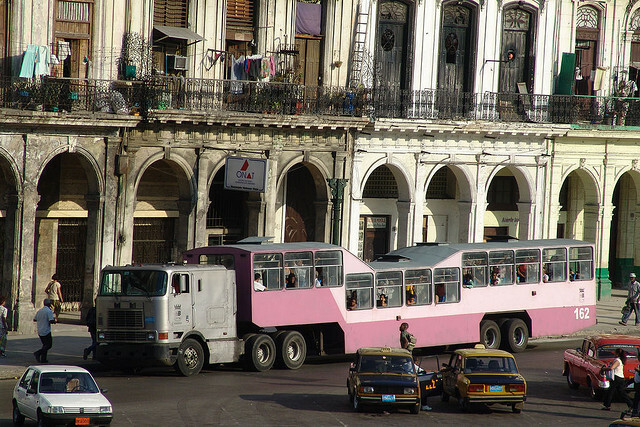 In this way, Cuba’s Ministry of Transportation has at times managed to keep half of Havana’s public buses out of circulation, a remarkable feat when we recall that the country has purchased a large fleet of vehicles from China. Organizing a functioning public transportation system anywhere is, admittedly, a complex task which requires experts, large investments and continuous subsidies. Such efforts, however, are only successful when the system, at base, actually works, be it in a wealthy or poor country. 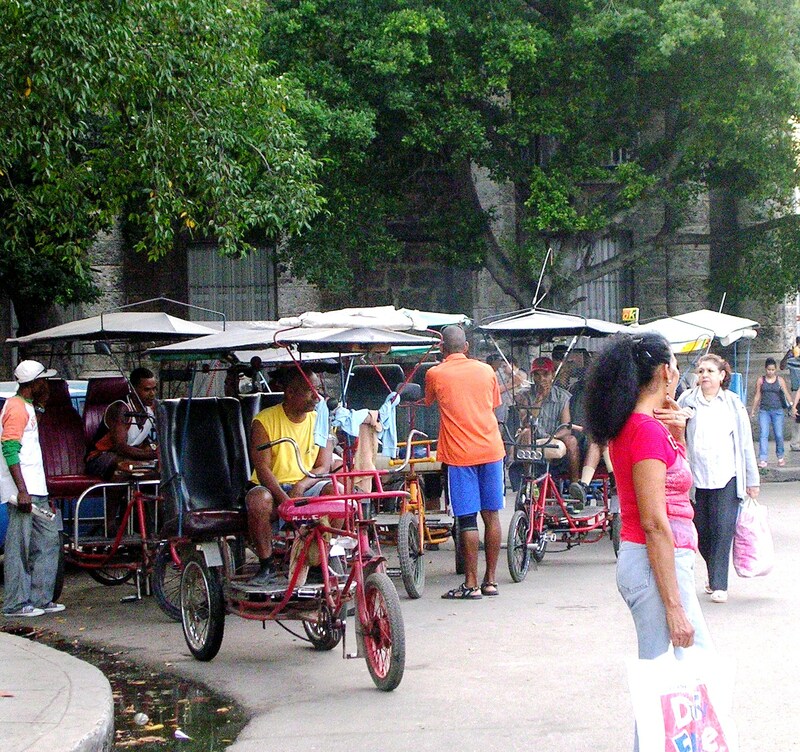 Granting a large number of vehicle owners licenses to operate as private cabs greatly improved Cuba’s public transportation situation, but the government undertook this liberalization without establishing a standard fare, the routes where these taxis must circulate and a maximum frequency of operations, regulations which are currently being applied in many countries around the world. In the end, those who end up paying for the absence of official regulations are the passengers, for cab drivers charge whatever they feel like charging and circulate down the city’s busiest streets at the time of day they deem convenient, leaving other areas of the city bereft of viable transportation. When I questioned the wisdom of removing bicycle lanes from Cuban streets in this blog, I was accused of being hypercritical. Now, it appears as though they will have to bring back these lanes, as selling cheap bicycles won’t be enough – you also need to give cyclists a safe space to move in. Some people make fun of this proposal, as though the use of this means of transportation were a sign of backwardness. In fact, many developed nations promote the widespread use of bicycles and have an extensive network of bike lanes. Some major cities, like Barcelona, even have an efficient public bicycle rental system. Cuba, a poor country, would benefit considerably from a strategy that availed itself of its various resources, creating a transportation system that could harmonize State, private, cooperative and even individual initiative. To get there, however, the many import companies and endless committees that have been stepping on the brakes of the State must be removed, the private sector must be organized more efficiently, the cooperative sector expanded and inexpensive, individual alternatives which the population can afford must be sought. Everything depends on how priorities are established. With what the government spends on only one of the thousands of vehicles it imports for use by its companies and ministries, a dozen electrical motorcycles or hundreds of good-quality bicycles could be purchased. To buy a new bus, there’s no need to make an additional investment – importing 10 less automobiles suffices. The government could begin by suspending the practice of assigning vehicles to transportation officials, so as to give them the opportunity to experience what their less privileged compatriots endure (and think) on a daily basis. Cuba’s economic progress should not be measured on the basis of the number of automobiles in circulation around the country, the fact there are more luxury cars on the street or we catch sight of a Hummer in Havana from time to time. True success in this area will be to guarantee that ordinary Cubans have the means of transportation they need to get to work every day and take their kids to the Zoo one weekend or other. FROM the Bay of Pigs to Che Guevara’s mausoleum, there is plenty for revolutionary tourists to see in Cuba. For economic junkies there should soon be a new item on the itinerary: Cuba’s first privately run wholesale market in half a century. At present it is a nondescript warehouse of green-painted concrete near Havana’s airport. It is unmarked, and so few locals know about it that your correspondent drove past several times before finding it. But state media say it will open on July 1st. 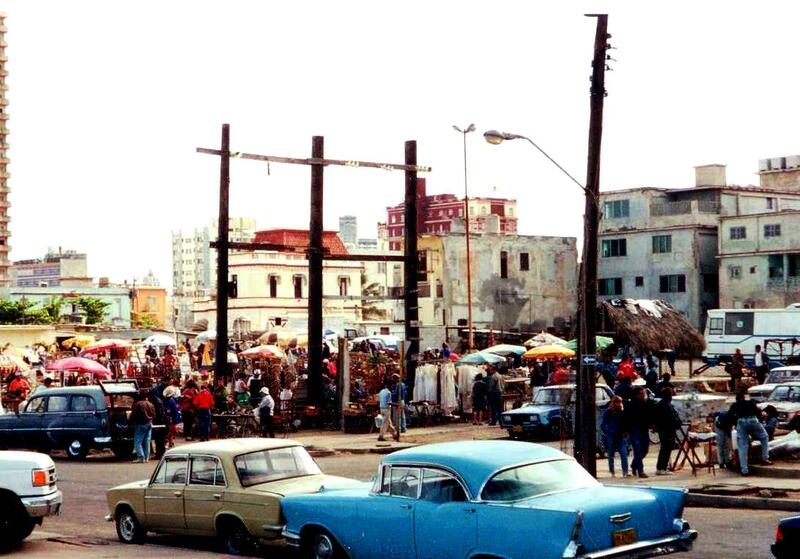 It is a source of excitement for those who will occupy it, because it will replace the muddy scrubland where drivers of hundreds of old trucks have been gathering on the outskirts of Havana to sell fruit and vegetables in bulk, always concerned that at any moment their makeshift trading post could be shut down. They see the new premises as a further step on Cuba’s hesitant path towards freeing up wholesale markets and loosening the state’s control of food distribution. A farmer, sitting under a banana tree next to his cargo, proudly displays a handful of permits that he has recently paid for, covering everything from selling crops to owning and driving a delivery truck. He says that in the past, when the police caught him trying to drive produce to Havana without a licence, they would seize it and give it to a nearby hospital. “They can’t stop me now,” he says. However, his ability to sell a broader selection of crops remains stymied by a shortage of seeds and fertilisers, supplies of which will not be available in the new market. Such inputs are still controlled by the state, he says, stroking his chin in a gesture that is meant to resemble Fidel Castro’s beard. The only way for a farmer to acquire more than he is allotted is via the black market. The benefits of burgeoning wholesale trade are evident in a stroll through the back streets of Old Havana. Handcarts owned by private traders overflow with ripe mangos, avocados and limes, whereas government outlets nearby contain a few tired-looking pineapples. Although wholesale produce is becoming more widely available, the government is only gingerly broadening wholesale trade to other supplies. Restaurant owners, for example, want to be able to buy flour, cooking oil, beer and soft drinks in bulk. Only a few shops provide these. The same is true of construction materials. “We don’t have anything like a Costco, where you can buy 20 crates of beer,” says Omar Everleny, a Cuban economist. Partly to put such concerns to rest, the government announced in early June that it would gradually permit a variety of wholesale goods to be sold to state-run and privately run businesses, apparently building on an experiment started three months earlier on Isla de la Juventud, an island in western Cuba where Fidel Castro was imprisoned before his revolutionary victory in 1959. A pilot project to sell equipment to private farmers is also said to be taking place on the island. More than helping businessmen, the government’s priority in promoting such changes appears to be to raise output. So far, however, the reforms have been too half-hearted to achieve that. The country is finally allowing its people to buy and sell homes but property lawyers and agents are still illegal. It’s only 9am but it’s already 33C on the Malecón, Havana’s corniche, and my brain feels like a conch fritter. I’ve come to meet a man who we will call Rafael – because that’s his name. But that’s the only part of his name he is prepared to reveal. Rafael is an estate agent but he does not want anyone to know it. “Being an estate agent is illegal here,” he says. If we do agree a price, Rafael will advise me not to buy the penthouse in the normal way. Instead, to avoid tax, I should pay him a nominal amount locally, say 20 per cent, and “deposit the rest in an account in Spain, please”. I must not talk about the true price because, under new laws, anyone caught lying about the price of property goes to prison. Also, I must not reveal the name of the lawyer who does the paperwork because working as a private property lawyer is illegal. Undercover estate agents? A legal system that is illegal? Jail for lying about house prices – which everyone the world over does? Welcome to the oddest property market in the world. Welcome to Cuba. Half a century after Fidel Castro’s government expropriated all private property, the sunshine socialist state is up for sale – in part. Raúl Castro, who took over as president from his ailing brother in 2008, has introduced new laws that allow Cubans to buy and sell homes. Billions of dollars in property assets that have been frozen in place and time, unvalued or undervalued, are now up for grabs. Raúl Castro’s move is the latest – and boldest – step in a slow economic liberalisation programme designed to generate economic growth. 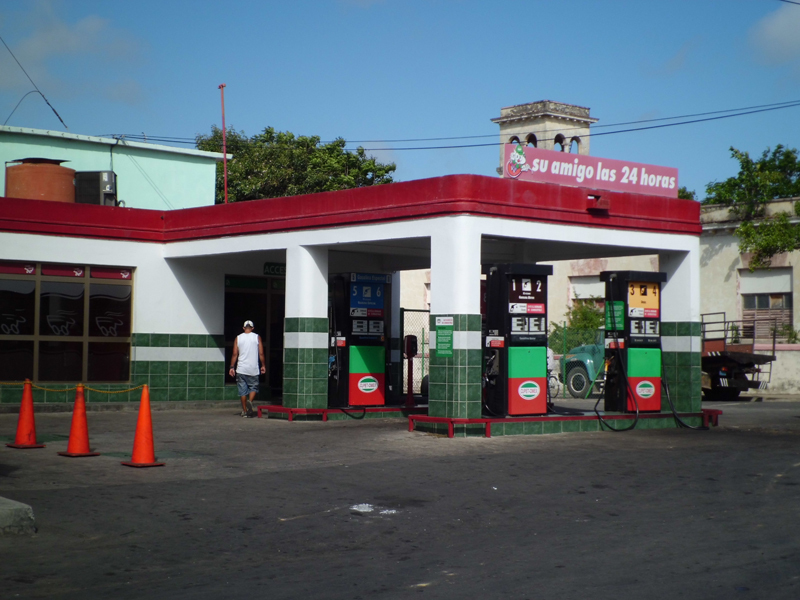 Cuba desperately needs new sources of revenue. 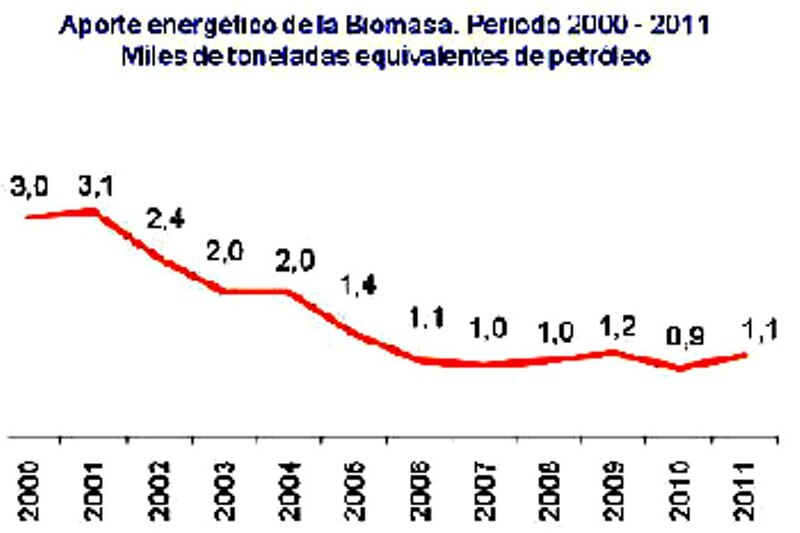 It is only kept afloat thanks to cheap oil, and other subsidies worth $5bn a year from its ideological ally, Venezuela. The subsidy deal was agreed by Fidel Castro and former Venezuelan president Hugo Chávez, who died in March. If Venezuela’s new president, Nicolás Maduro, renegotiates the agreement – and many analysts say that, with Venezuela’s economy slumping, he has no choice – Cuba will grind to a halt. After half a century in which they could only swap houses in a creaky, bureaucratic and often corrupt state-run process known as permuta (exchange), which involved finding two properties of roughly equal value and then getting state approval to transfer the title, Cubans are relishing their new-found economic freedomFirst-in-a-lifetime buyer Guillermo Rey stands next to the scruffy portico of a four-bedroom, three-bathroom house in Vedado, Havana’s most high-end, fashionable district. The price, says the owner Rosa Marin, is 350,000 CUC, or convertible pesos, Cuba’s hard currency, which is roughly equivalent in value to the US dollar. She is selling because she wants to move into a smaller property “and buy my daughter a car, a good one, a Lada”. It is a scene repeated all over Havana. The market is growing so fast that queues form outside the tumbledown offices of Cubisima, a Havana-based property sales website. “Every day we get more people looking to sell and more people looking to buy,” Mayelin Aguilar tells me as she keys the latest listings into her bulky Russian-built desktop computer – so old it still runs Windows 95. The tree-lined Prado is polka-dotted with estate agents, their listings written in longhand in school exercise books. Their commission? A whopping 5 per cent – if, that is, the buyer pays up. With estate agency not on the approved list of private businesses Cubans can now set up, buyers know agents have no recourse to law, so many simply refuse to pay. “I’m lucky if I get commission for one deal in five,” says one agent. 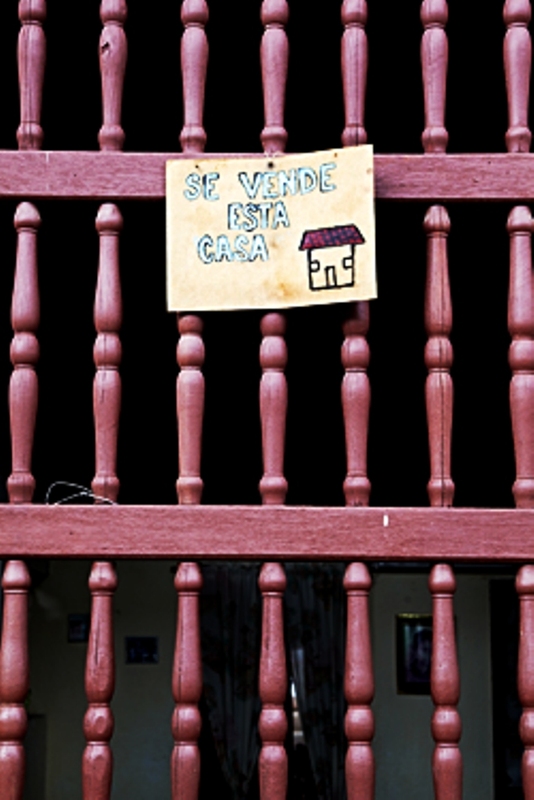 Some 45,000 homes were sold in 2012, according to Cuba’s National Statistics Office. Observers say informal deals take that number to almost 100,000. Prices range from $10,000 for a small, run-down flat in Old Havana to $500,000 for villas in sought-after districts, such as Siboney and Miramar, and more than $2m for penthouses in modern blocks. The average price last year was just $16,000. The Cuban on the calle is still desperately poor. This being Cuba, the conditions surrounding home sales are complicated and, occasionally, bonkers. The law says that only Cubans and permanent residents can buy and sell property and they must limit themselves to one main residence and, if they have the money, one holiday home. 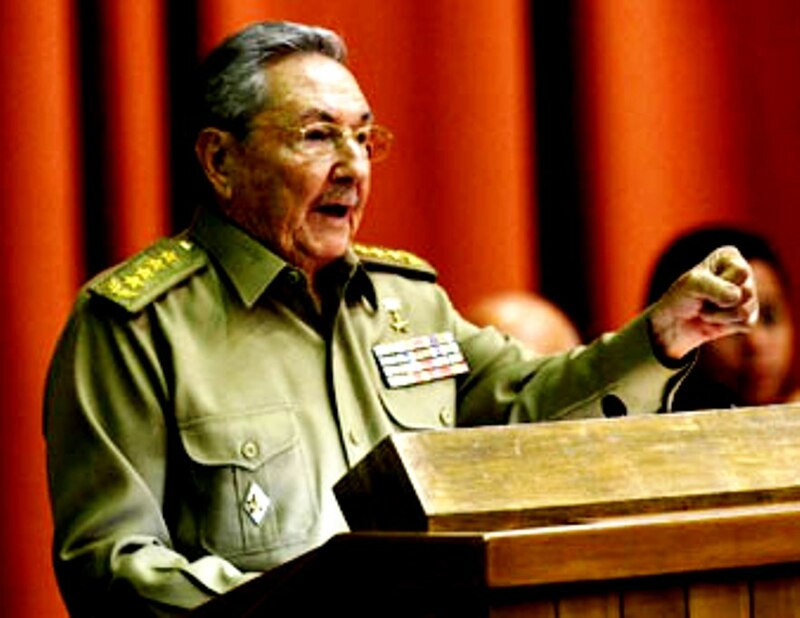 Raúl Castro does not want Cubans to become property barons. Nor does he want to encourage armies of foreign investors, especially the many arch-critics of the regime, to descend on Havana and buy it up, block by block. But, thanks to an early flirtation with capitalism 20 years ago, there are a few apartment buildings in Havana where foreigners can buy. The best are in the Atlantic Building, a 25-storey tower on the Malecón, where Rafael shows me the penthouse he says is worth $2.5m. 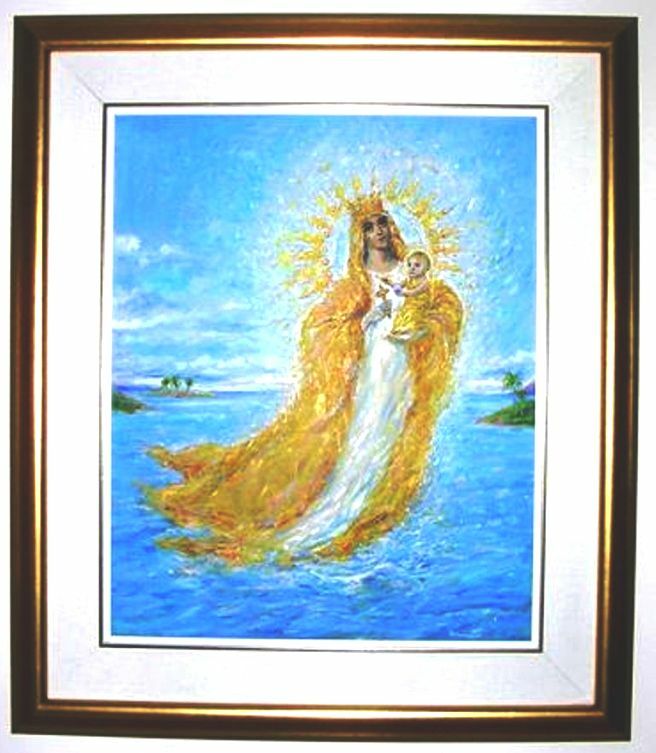 Few want to say so publicly but some are being snapped up by Miami-based Cubans, via local relatives, making it difficult to divine whether the émigré Cuban or the relative is the real buyer. President Barack Obama recently relaxed the restrictions on foreign remittances from Cubans living in the US. Up to $5bn a year now flows into Havana and much of it ends up in bricks and mortar. Other overseas investors get around the restrictions by giving money to a Cuban friend, or more often, girlfriend, to buy a property – although, when the deal is completed, some swiftly discover that their girlfriend is no longer their girlfriend. “I took a risk and it failed,” sighs one Dutch-born investor, whose $400,000 “home” in the fashionable Kholy western suburbs is now home to his former girlfriend and her extended family who cannot believe their luck – and his naivety. Tax is troublesome, too. Both sellers and buyers must pay 4 per cent but most disguise the value of deals to reduce the liability. Raúl Castro’s dream of generating much-needed tax revenue from home sales is, so far, a forlorn hope. But he might have an ace up his linen guayabera shirt – or, rather, 130km down the cracked highway from Havana in Varadero. It is Cuba’s “touristic zone”, a ghetto of white sand and whiter westerners, who sip mojitos and snap up Che Guevara T-shirts without bothering to wonder what Che would make of them splurging their Yankee dollars on a swanky beach holiday. “This is where the £1.5m villas will be. And, over here, right next to an 18-hole golf course, is where the country club will be,” says Andrew Macdonald, striding across the scrub in canary yellow shorts. The Scots-born entrepreneur runs Esencia, an Anglo-Cuban firm, that wants to build Cuba’s first new golf course since the revolution, with 800 homes available for foreigners to buy. “Slog” hardly does justice to the tortuous process he has had to undergo to get this far, and which has cost him $3m on feasibility studies. He began negotiations in 2006 and each year the government has said it will approve the venture. But each year then becomes next year. Manuel Marrero, Cuba’s minister of tourism, says the deal has finally been approved in cabinet but Macdonald still does not have the formal sign-off he craves. If and when Macdonald, 47, does get the formal go-ahead, it will mark the end of Cuba’s bunker mentality when it comes to golf. Fidel Castro declared golf “incompatible with the glorious revolution” and ordered Cuba’s courses to be put to less “bourgeois” use. Today, one of them lies abandoned just outside Havana; another is a military special forces training ground; and a third forms the rolling lawns of a city’s arts school. Macdonald wants to build 150 colonial-style oceanfront villas and 670 apartments. Prices for the apartments will start from $2,700 per sq metre and range from 75-140 sq metres. The villas will cost $3,750 per sq metre and range from 350-600 sq metres. Six-hundred investors have registered an interest, Macdonald says. Buyers will have what passes for freehold title under Cuba’s nascent property laws, and will be able to rent out their property. Cuba has retained the original Spanish, pre-revolutionary land registry and Macdonald says it shows that no overseas parties have a claim on the land at Carbonera. Tens of thousands of exiled Cubans, who left the country after the revolution, still claim rights over properties. On a bluff just along the coast from Carbonera stands the DuPont villa, the former vacation home of the wealthy US chemicals family. It is now a government-run guest house. Investing in Cuba is only for the most steely-nerved. Not only is there the vexed question of potential claims on properties from exiled Cubans, the Cuban government has a long, ignominious history of first encouraging and then choking off economic liberalisation. It relaxed restrictions on home sales 15 years ago, only to reverse the policy a few years later.